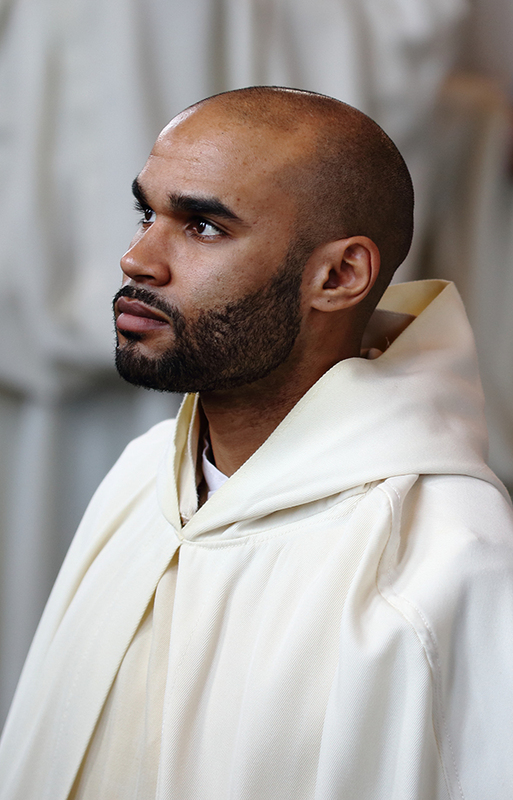 Mother Teresa once said, “I pray that I may love God with a love with which He has never been loved before–what a foolish desire.” Brother Mikah tells us that this too is his prayer. A large part of my life before coming to the Abbey was dedicated to helping serve the needs of under-served communities in Philadelphia, where I had gone to school and had lived for some years. It was during this period that I worked among homeless, immigrant, inner city youth, and older adult communities. While steadily engaged in an active witness to these various communities over the years, I found myself becoming internally burnt out. Originally my hope was for a positive transformation of the people whom I served. Steadily however, that focus became a sort of distortion. I believe that subconsciously I was taking a certain pride in my work and the various causes that I was undertaking, rather than seeking enhanced quality of life in the persons I was ministering to. I gradually came to that realization. What brought me to the monastery was a desire to truly seek the good of all through a single-minded search for God. I have come to greatly value the stability of our communal life, centered around the routine of the Liturgy. Such an environment lends itself to the creation and preservation of relationship and all the beauty it has to offer- accountability, vulnerability, forgiveness, and empathy. I found it difficult to live out these commitments in my life before the monastery, primarily because of the transient lifestyle that had become all too common in my life. I was simply trying to ‘survive’ in society; building a career, seeking new relationships and moving from living situation to living situation. All of these competing values had become disorienting in my search for God.